CAI was a harmonic Spanish quintet with Diego Fopiani Macias (drums/vocals), Jose A. Fernandez Mariscall (guitar), Francisco Delgado Gonzalez (guitar), Sebastian Dominguez Lozano (keyboards and piano) and Jose Velez Gomez (bass/vocals). They released three albums entitled "Mas Alla Mentes Diminutas" ('78), "Noche Abierta" ('80) and "Cancion De La Primavera" ('81). The second and third album are released as a 2-in-1-CD. The album "Noche abierta" (1980) is one of the gems of Spanish progressive Rock. The seven tracks sound pleasant with warm Spanish vocals, tasteful keyboards (piano, strings, synthesizers and organ) and sensitive electric guitar. The integration of "the art of the flamenco" guitar gives this progrock an extra dimension. On this debut album legendary Rock Andaluz formation Cai delivers an interesting blend of styles, from rock and fusion to jazzrock and flamenco. But to me the four compositions sound a bit like jams featuring strong interplay between the guitar and keyboards (electric piano and sensitive electric guitar in Pasa Un Dia) and a lot of outstanding soli, on guitar and keyboards. Often jazzrock oriented Rock Andaluz bands Iman and Quadalquivir come to my mind, but Cai don't play on their level. Remarkable is the omnipresence of the string synthesizer on this album, a distinctive vintage keyboard sound (wonderfully blended with moving guitar in the mellow intro in the titletrack). The flamenco element is far from dominant, only partly in the vocals and in the titletrack, with palmas (handclapping) and flamenco rhythm guitar. On the remastered version are 3 bonustrack added, all from their highly acclaimed second album Noche Abierta, for me a Top 10 Rock Andaluz gem. You can hear the difference between these 3 tracks and the other songs from this debut album: the Noche Abierta compositions are more elaborate and captivating. and the flamenco element has become a more dominant part in the music on Noche Abierta. So I consider this debut album as a nice effort, but far from their Rock Andaluz masterpiece Noche Abierta. Cai is a legendary formation from the captivating Rock Andaluz movement, the unique blend of progressive rock and the ethnic Andalusian flamenco (speerheaded by the unsurpassed Triana), where Moogs, Mellotrons and Hammonds meet the jawdropping art of the flamenco guitar and the passionate vocals. Between 1979 and 1981 the band released three studio-albums featuring a very tasteful blend of styles, with the focus on symphonic rock, jazz rock and, of course, flamenco. Their second effort entitled Noche Abierta is generally considered as one of the finest Rock Andaluz gems. After a live CD in 1981 the band disbanded but, like many known Rock Andaluz bands from the Seventies, re-united, along with Iman, Mezquita, Gualdalquivir and Ibio. Re-union festivals with these bands are available, highly recommended! The re-united Cai feature two founding members: Jose A.F. Mariscal (guitars, bass and keyboards) and Diego Fopiani (drums and vocals), the line-up is completed with keyboard player Blas Lago. Many re-united Prog Andaluz bands played on festival, also Cai and then they made a new studio-album entitled Metaforas De Luz. Despite the short running time this is a strong and convincing return by Cai, here's it's quality above quantity. Cai are a vintage Spanish symphonic prog band from the late Seventies, and right from their debut `Más Allá de Nuestras Mentes Diminuta' in '79, the group offered a truly superb collection of melodic arrangements with lively instrumental displays. There's so much infectious positive energy racing through the four tracks here, the band incorporating everything from grooving jazz/fusion guitar funkiness and spacy keyboard atmospheres, in addition to instantly appealing Spanish vocal passages, delivered with a warmth and passion only rivalled by plenty of singers from the Italian discs of the same era. After a stormy rising and falling symphonic synth and mellow guitar strains introduction, the almost ten minute opener `Alameda' diverts briefly into some Genesis-like pomp before transforming into a frantic rocker. Thick pulsing bass, cascading synth runs and deranged drums duel and race alongside each-other, and Spanish flavours woven to some grooving hard guitars really start to cook once they take off and solo frantically in the second half. Constant and thrilling jazz-fusion instrumental runs tear through `Más Allá...' with breakneck energy and speed. Purring relentless bass, manically biting and funky electric guitar strumming and glistening electric piano is sprinkled over every inch of it, with some darker themes aided by imposing deep-space synths emerging in the latter half as well. `Solucion A Un Viejo Problema' begin as a more pleasing rock ballad, a mellow tune that takes on some magical Yes-like qualities and murmuring bass so fluid that it leaps about as if it's actually singing! But there's plenty of time in the final minutes for the tune to burst up in tempo and shoot off with nimble fingered synth/electric piano flashes and electric guitar taking on a seriously cutting snarl! The eleven minute closer `Pasa Un Dia' rocks with momentum and purpose. Fading in with distortion, electric piano tip-toes and a howling lead vocal, it's all just a framing device for the band to shoot through the stars to the intergalactic nightclub with an improvised space-rock delirious jam - go on, hit the dance-floor with your tentacled space babe - no judgement! This section is all grooving swagger and sweaty grooves with plenty of loopy synth noodling. The twinkling star-field electronic pause that follows only lets you catch your breath for a second before the disc closes on a vocal reprise and slow-burn simmering guitar finale alongside raucous drumming. Don't be put off by the brisk running time of barely 33 minutes. It may be short, but it's pretty much adventurous rock music perfection that entire time, and with the album not long enough to allow any filler to infiltrate, there's not a wasted or throwaway second. `Más Allá de Nuestras Mentes Diminuta' is a showcase for a group of incredibly skilled musicians delivering fiery instrumental displays within tight song arrangements, and the fact that it's a debut album is astounding, just so much confidence and talent coursing through every second of it. One thing's for sure also - not as many albums will put you as great a mood as this one! Four and a half stars for this fairly unappreciated little Spanish gem! 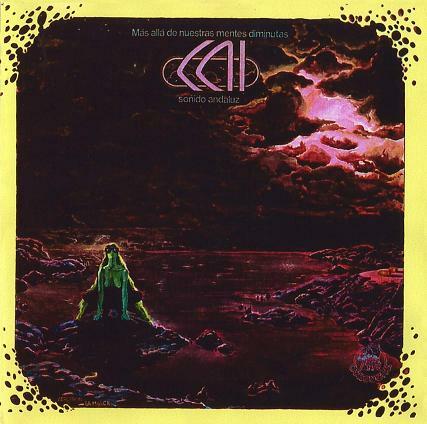 The success of ''Mas alla de nuestras mentes diminutas'' led Cai to a change of label and a good contract with CBS' sublabel Epic Records.Additionally the band welcomes new guitarist Jose Fernandez Mariscal in the line-up and the best had yet to come for the Spanish group.In 1980 the second album of Cai was released, entitled ''Noche Abierta''. 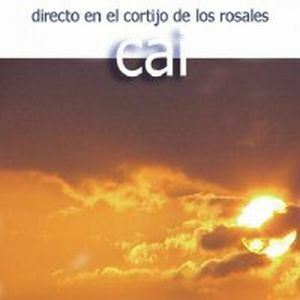 The potential of the debut finally becomes reality in the sophomore work of Cai.Top-notch Andalusian Prog with symphonic and strong Fusion hints in compositions, where romantic textures are combined with virtuosic performances.The album is highlighted by the warm singing of Jose Velez Gomez, the incredible guitar twists of the Mariscal/Gonzalez duo and the excellent, delicate piano themes of Sebastian Domínguez Lozano.The band combines the synth-drenched soundscapes of MEZQUITA, the atmospheric lyricism of TRIANA and the musical diversity of GUADALQUIVIR in beautiful arrangements, full of both calm and technical deliveries.Some guitar melodies really stick in the listener's mind, the nice Flamenco-styled crescendos next to the electric solos are masterful and the overall mood is absolutely dreamy with tremendous musicianship all the way. Definitely one of the best Prog albums from Andalusian lands.Intricate, adventurous but also deeply atmospheric material, which deserves at least a high recommendation. Very good Spanish band coming from the depths of Andalucia,the city of Cadiz,and performing an impressive mix of Andalusian Rock,Spanish Fusion and Symphonic Rock. "Más Allá De Nuestras Mentes Diminutas",originally released in 1978 on Lacochu, is a strange album,despite the familiar styles previously presented.The fiery fusion-esque guitars and the Flamenco styled melodies of Francisco Delgado Gonzalez blend with the background symphonic keys of Sebastián Domínguez Lozano and the result is absolutely satisfying.The album is full of unusual breaks and changing tempos,definitely a paradise for a prog listener,while the bombastic fusion style of the band changes into more laid-back music instantly.However the vocals of Diego Fopiani were not meant to stand next to the fine musicianship of the band,as they are rather average,good thing is that they are quite limited. The 2007 CD release of the album comes with 3 bonus tracks,all of the are excellent and representitive pieces of their next album ''Noche Abierta'',which you should simply purchase.Anyone after Spanish Fusion bands like ICEBERG,IMAN CALIFATO INDENDIENTE or GOTIC should approach this nice Andalusian pearl...3.5 stars. Flamenco prog rules! If you don't know it, I invite you to listen to some old-school Spanish bands such as Triana, Crack, Mezquita or Cai, they all have a distinctive sound that can please the strictest prog fan. 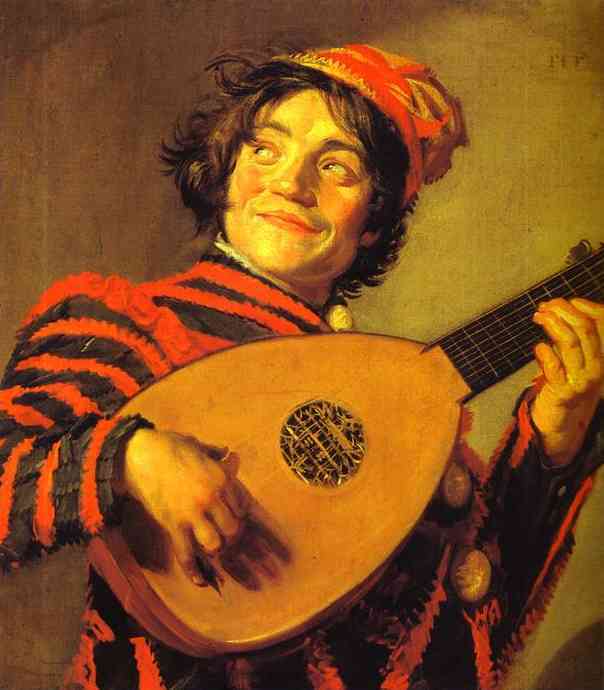 I particularly enjoy that kind of music, love the vocals and the guitar style. 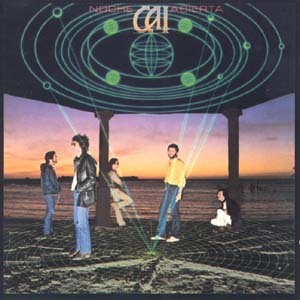 Now I am reviewing Cai's second but most recognized album to date, entitled "Noche Abierta" and released in 1980. The eighties was not really the prog decade, however, this album is just an example that if you dig and search you'll always find great music, no matter the year. This 36-minute album features seven compositions, starting with "Soñé Contigo", a symphonic song with great guitars and an exquisite piano sound, after a minute vocals appear and then you will understand why these Spanish bands have that unique sound, I really love that conjunction between symphonic music with flamenco (vocals and guitars). "Despertar" is a nice song, a bit weaker than the first one in my opinion, however it is still enjoyable to listen to that soft piano sound accompanied by those Spanish vocals, also, there is a moment where electric guitar add a special flavor to the sound. Next track is better, "Alegrías de Cai" is an excellent composition that starts slow but it gradually progresses, the drums work is extraordinary here and the atmosphere created by keyboards and guitars also good. This is an instrumental, gentle and friendly track that can ease everyone's tension. Now the title track, "Noche Abierta" offers a similar style to the previous song, fast keyboard- guitar-drums play making some good symphonic (in moments jazzy) sound, and actually, seconds later you will notice that Andalucía sound, and I say it before vocals appear, just listen carefully. When they appear, along with the flamenco guitar, the sound is more evident, of course. "Extraña Seducción" is a pretty interesting and complex track. Since the first minutes we can appreciate that the band aimed to something big, so they created a piece with odd-time signatures, difficult to appreciate In the first listen, and of course, if we add that Spanish sound then we have to be patient if we want to truly enjoy it. One of their best symphonic pieces! "La Fábula" creates some kind of spacey sound at first, later it slows down and sounds actually as a ballad but just for ten seconds, because later guitars appear and produces a rockier sound. However, it stops and returns as it began, just in order to change again later, to the second verse. This is a weaker song, in my opinion. 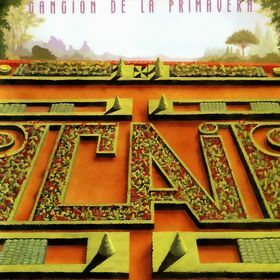 And the album finishes with the longest and best composition, "La Roca del Diablo" which starts slow with some atmospheric sounds, and after a minute it makes a sudden change and a new mood is being build up, the addition of new keyboard elements, drums and guitars leads the song to an intriguing direction. The song is pretty interesting, all the minutes have something to offer, its changes in time and tempo produce several things while listening to it. Worth listening to this track, believe me. Well, I like this album and play it every now and then, I love its Spanish sound, but to be terribly honest, I am not really convinced by the music on this whole record, I mean, it is that feeling that don't leave you alone, despite I would like to give it a better rating, there is something that stops me and I just cannot do it. My final grade is three stars. Spanish progressive band Cai have recently released their first album for almost three decades, but 1980's ''Noche Abierta'' remains their undisputed classic. It's a generally soothing blend of melodic symphonic prog, with sprinklings of light fusion and a dab of flamenco all served up like a dish of fish. The multi-part ''La Roca del Diablo'' is the album's centrepiece, an 8-minute instrumental that features some brief but tasteful vocoder effects. The album's second instrumental ''Alegrias de Cai'' is another highlight, based around a cheerful groove that's reminiscent of Return To Forever with its fine guitar and synthesizer interplay. The title-track is a beautiful piece Rock Andaluz, complete with flamenco guitar and genial vocals. The second half of the album maybe doesn't quite match the first, although it finishes strongly enough with the above mentioned ''La Roca del Diablo''. Overall it's not as good as Gotic's ''Escenes'' although it is even harder to find, but anyone that does manage to get their hands on a copy of ''Noche Abierta'' is in for a real treat. Best record of the year 1980 perhaps? Recently I was able to buy some new vinyls from my buddy Erik Neuteboom, an important member of our Dutch symphonic community. His devoted appreciation for the Prog Andaluz subgenre (not shown on PA) made me try some of it's fruits. The first record I will review is Cai's Noche Abierta. The good think about non-English prog is that it's eeeh.. non-English. Instead, some of the influences from the home-country of the band become apparent. The classical art style of the RPI is a good example, but this warm, energetic Flamenco influenced progalbum from Spain is yet another great example. I was very pleasantly surprised by it's innovative power, it's Fado-like vocals that seem to float freely over the multi short note (Gentle Giant comes to mind) melodic structures. The style is a fusion between our beloved classical prog and the traditional Spanish Flamenco. Other influences might be space-rock and some Fusion. The musicians are all very professional and all sophisticated interpretations of Flamenco styled music are played as if it was easy. The symphonic parts are sensitive and the vocals gives the music a totally new dimension. The guitars sound gentle and accurate, sensitivity over note-shredding. 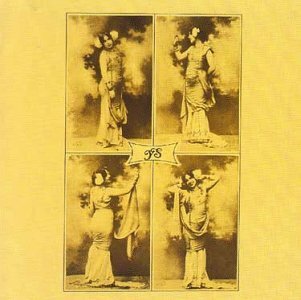 The recording is one of the major successes of this album: It sounds like an late seventies record with a perfect production. Don't be afraid, you won't hear any eighties like synths or drums! The first side has extended song type tracks. The form of the songs isn't always that special, but the level of composition is high and some it's symphonic/space parts are great. The vocals are truly a blessing. The second side has two longer compositions and is slightly better then side one. Extraña Seducción has one of my favorite ending sections , whilst the fully instrumental La Roca del Diablo proves Cai can play as a 100% symphonic prog band (this track his little Spanish influences). The pace is low, but the solo's are sensitive and the melodies have a big emotional appeal. The symphonic soundscapes are the best of the album. A great ending track for this amazing Prog Andaluz album. Conclusion. Well.. I fell in love. This is not only high quality prog, but it will also seduce you to listen to it very very often! The Spanish influences are great. I don't think I know of any album of 1980 that sounds better as this one. A very big four star record. Highly recommended! Everyone knows you can't by happiness. However, spending money on this album will surely make it easier to facilitate some happiness! One of the most special records of my collection and it deserves the five star rating. Cai goes Return to Forever on their final disk, with some Weather Report and Passport thrown in. If you want a lot more improvisation and serious jamming, still within a generally short track format and with a less obvious flamenco flavour, this one is worth exploring. It lacks the overt romance of "Noche Abierta", but the instrumental skill and discipline remain in plentiful supply. Probably the highlight along these lines is "Mercadillo del Piojito", a simply joyous and energetic instrumental exploration with superb arrangements. Some of the vocal tunes seem geared towards a more pop-oriented audience. This doesn't always work, as in the cheesy keyboards of "El Viaje", but the catchy fast paced "Fiesta en El Barrio" makes up for it. I suppose I could imagine someone preferring this finale over the predecessor, but it simply lacks the warmth, replacing it with more frenetic mathematical signatures. A lot of quality is still to be found, hence Cai bows out with 3 stars on their "spring" swan song.l to be found, hence Cai bows out with 3 stars on their spring swan song. Cai combines the authenticity and sense of place of flamenco music with prog instrumentation and an easy jazzy flow, to produce a subtly beautiful work. Don't expect it to jump out at you and grab you - instead just let it possess you over time, and diffuse over you. The opener "Sone Contigo" sets the tone with its distinctly Latin keyboards, sometimes cascading sometimes rollicking. 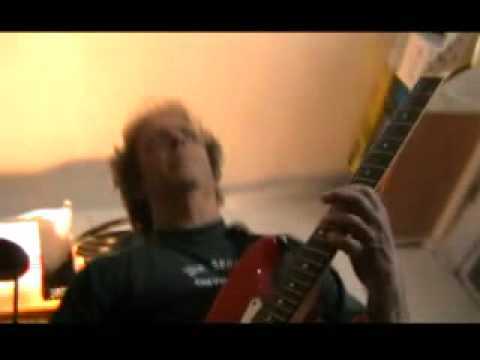 The lead guitar and vocals both add to the romantic air of this lovely piece. "Despertar" has a similar mood but the mellotron is more prominent and the lead guitar is oh so flamenco. "Alegrias de Cai" has especially nimble percussion in the mix, while the title track actually contains acoustic flamenco guitars. "Extrana Seduccion" alternates an atmospheric melody with more vivacious guitars. The middle section is more improvised, but here as throughout the disk, Cai balances the ragged forays with a gentle structure. The closest thing to an outright ballad is "La Fabula", and it is also one of the less interesting cuts on the CD. It seems that Cai's strengths are best served by an integration of more energetic sections into the vocal tracks. The longest piece is the closer "la Boca Del Diablo". It is an intriguing instrumental featuring more synthesizers along with the mellotron, and allows the band to stretch out a lot more than in its shorter siblings. Parts remind me of Camel gone Spanish, or even Caravan, especially in the peculiar synth sounds, but this is dreamier, more ambient than both. "Noche Abierto" is Cai's classic, which can be enjoyed by most symphonic, folk, jazz and Latin music fans, although fans of harder edged music may not take to it so well. Highly recommended.